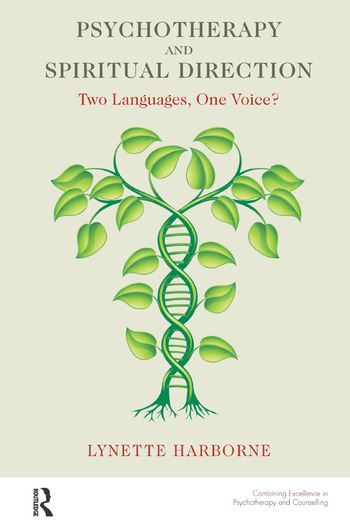 Psychotherapy and Spiritual Direction: Two Languages, One Voice? This book explores the similarities and differences between the practice of psychotherapy and spiritual direction and suggests that, whilst there may be distinctions between the two activities, the process is essentially the same. The purpose of the book is to improve the understanding between therapists and spiritual directors, to encourage dialogue and discussion between them, as well as to offer challenges and learning to both. In the process of exploring the interface between the practice of therapy and the practice of spiritual direction, questions arise about how to address issues of spirituality in a psychological context and psychological issues in a spiritual context. A brief overview of the historical background to spiritual direction is given, and attention drawn to the links between this tradition and the development of psychotherapy. Spiritual issues that may arise in therapy together with psychological issues that occur during spiritual direction are discussed, leading on to a comparison between 'dark night of the soul' experiences and clinical depression.